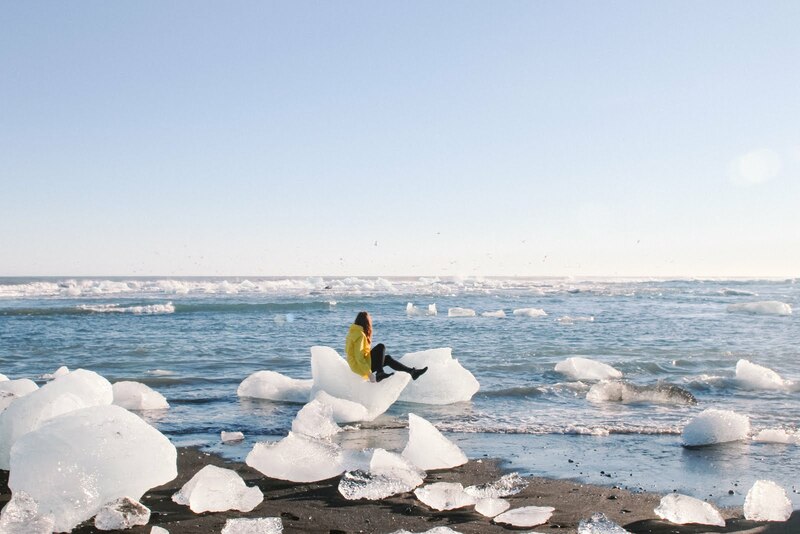 Sit on an iceberg – on the beach! Iceland has a lot to offer to those who enjoy new experiences. The land of ice and fire has captivated me and surprised me more than I could have expected. Do you want to know what I did for the first time in the country? Read on! I cannot imagine a road trip more photogenic than Iceland. You will be hypnotized by its landscapes from another world, it doesn’t matter if it’s summer or winter: what you see exceeds all expectations. The colors of the landscapes change according to each season, so you will probably have to go back to Iceland to appreciate their different moments. 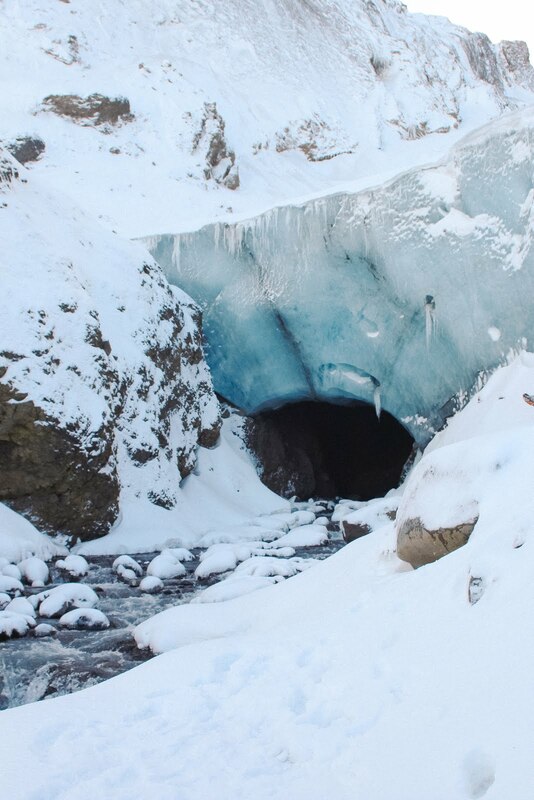 Anyways, it’s not easy to get to certain places like Thórsmörk, especially during the winter. In these cases the best option is to make a tour to reach the most remote places, outside the tourist circuits. My first time ever on a glacier was Gígjökull, in Thórsmörk. Such a good place for a first-timer! We got there after wading through rivers, walking on the snow, and an ice cave appeared out of not the blue in front of us. The high mountains surrounding the place, all covered in snow, made me feel tiny and overwhelmed by nature. 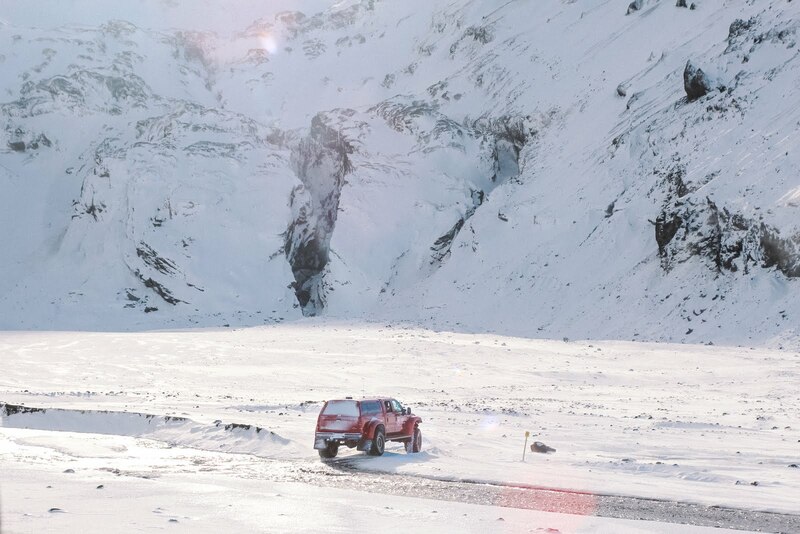 We also visited Svínafelljökull, this time on our own. 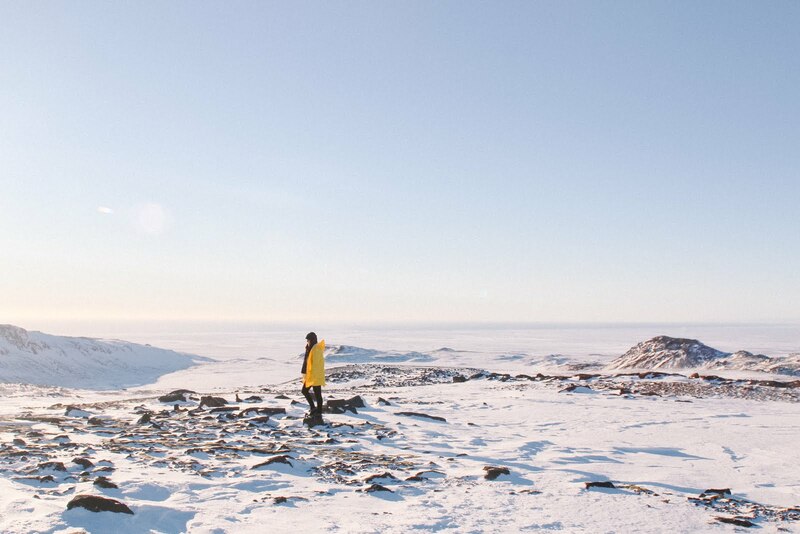 We walked until we could without crampons to enjoy the incredible views… which are awesome. Hunting Northern Lights it’s been on everybody’s bucket list and they are worth a trip for themselves. I was fortunate to see them for 3 nights on a row, non stopping saying “ooooh” and “aaaah” every few seconds while the dance of pink, green, yellow and violet colors was in the sky. Northern Lights can only be seen from October to March (and if it can be during New Moon, the better!). You can try to go hunting for yourself or hire a tour with a guide. And if you travel to Iceland in summer… instead of Northern Lights you will enjoy the midnight sun. 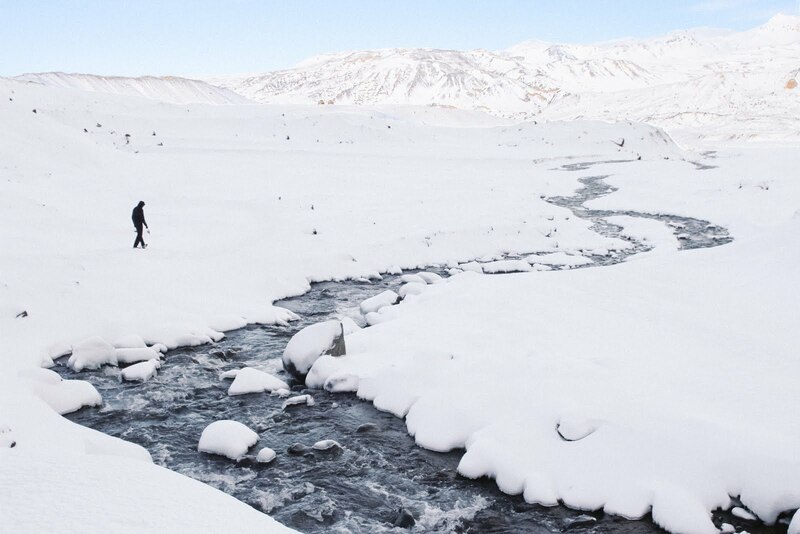 Related post: 5 reasons to visit Iceland in winter. I really wanted to spot Arctic foxes! But I didn’t want to be very optimistic about it, as they are really tiny and not so easy to meet. We finally managed to encounter this creations while in Thórsmörk: Their footprints can be seen in the area of Volcano Huts. If you rent a 4WD car you can drive not only the Ring Road but also the F roads. If you dare and know how to do it, you can also wade rivers! 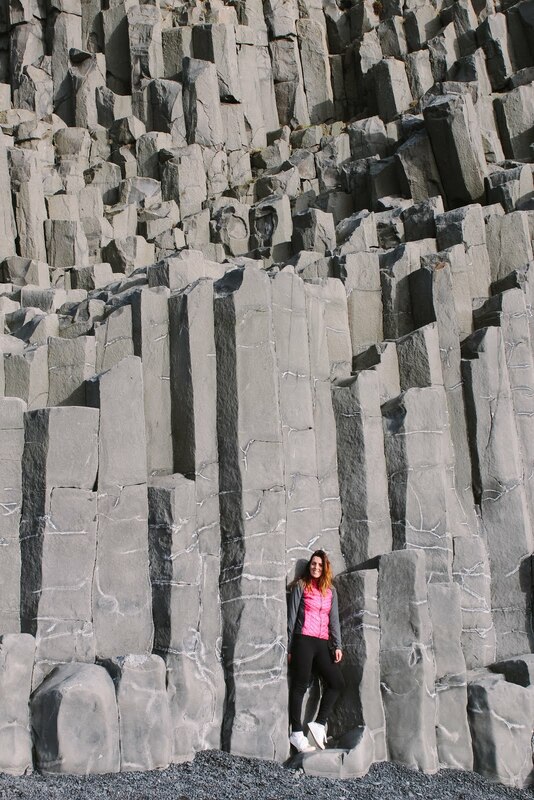 Truth is I didn’t date to with the rental car but our guide Stefnir did so to get to Thórsmörk. There’s no shortage of hot springs in Iceland! Another place that’s always present in everyone’s bucketlists is the Blue Lagoon. This is a luxury experience that I can totally recommend, as you can stay there as long as you want to. I think I spent like 3 hours there, just dipping and putting silica masks on my face. If you want to visit the Blue Lagoon book it with weeks in advance as it’s really busy. It’s really close to Keflavik International Airport so it’s recommended to go before you leave the country. Reykjadalur: a thermal bath in the heart of nature in Hveragerdi. You don’t have to pay entry as it’s outdoors. Secret Lagoon: In Fludir, not far from the Golden circle, you will find this hot springs swimming pool. Entrance fee is €18. Mytvan Nature Baths: This lagoon is smaller butas pretty as the Blue Lagoon. It’s located close to Akureyri and it costs between 20-30 € depending on the time of year you go. You cannot leave Iceland without having a skyr, the Icelandic version of yogurt. I had it at Smaratún, the organic farm I spent one night in. This is one of the things I missed during this trip! Diving the Silfra fissure has to be amazing, since you are immersed between the tectonic plates of America and Europe and the visibility is perfect. 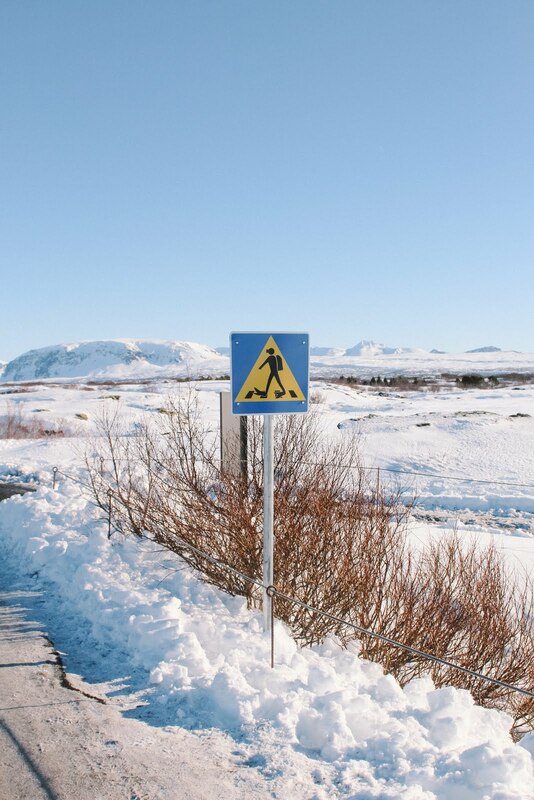 This time I decided not to dare for the low temperatures in Thingvellir (our car’s thermometer marked -14 º C!). Would you dare? I hope to make it next time in Iceland. Where else in the world can you find a lake and beach full of icebergs? This surreal landscape is located in Eastern Iceland, in Jökulsarlón and Diamond Beach. Two places you shouldn’t miss while in Iceland. Even if you have previously met beautiful horses, the Icelandic are next level: they have bangs! Like Icelandic humans, horses are extremely sociable. Besides, they love to be petted. You will find horses by the road very often but remember to avoid stopping in the middle of the road to get close to them: you will annoy other drivers and you can even cause an accident! So look for a place to park and go for that pampering session. 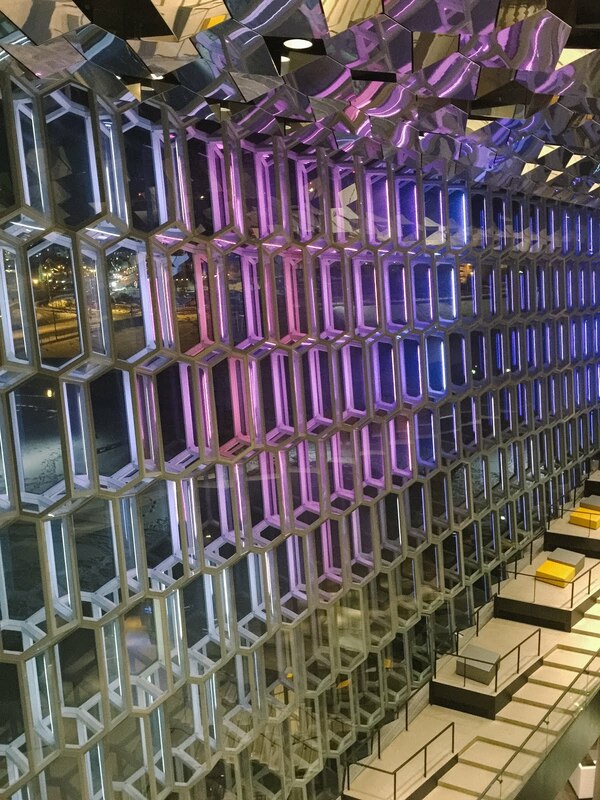 Harpa Concert Hall is a huge building that houses an auditorium and congress center in the port of Reykjavik. 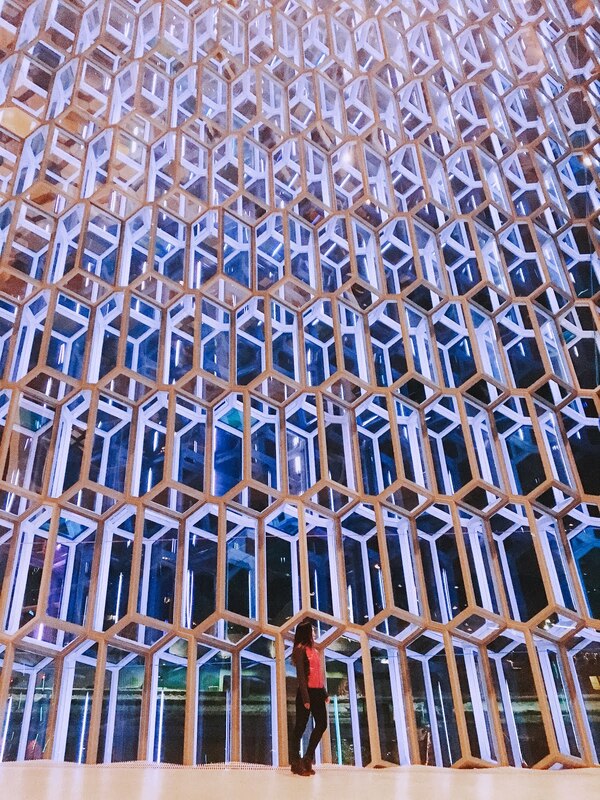 Vsiting it at night is an spectacular kaleidoscopic: it is not only architecture, it is art in movement with the colors of the northern lights! In other parts of the world you can find beaches with boat wrecks but where on Earth can you find a plane wreck on the beach? Of course, Iceland is the answer! 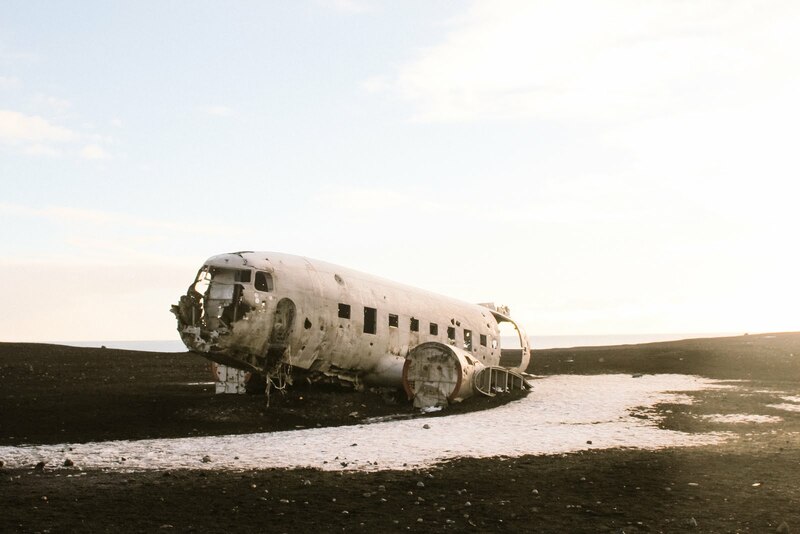 You can have an instagrammable meeting with this plane wreck in Solhéimasandur . Related post: My itinerary for a week in southern Iceland. The impressive Seljalandfoss is not the highest nor the most abundant waterfall in Iceland but it has the peculiarity that you can walk behind the water curtain: how many cascades in the world can boast of the same? This is another thing I left for my next time in Iceland (it was very cold in February to do so!). Visit Kérid volcano crater and get surprised by its colors: turquoise blue waters surrounded by reddish and green tones. You’re the only one missing in this postcard place. You’ll go to the beach in Iceland but it will be chilly, so forget your bathing suit. It’s a winter kind of beach! Diamond Beach: The beach of Glacier Lake Jökulsárlón, where the white icebergs contrast with the black sand of the beach. Reynisfjara Black Sand Beach: The amazing beach of Vík í Myrdal, famous for its basalt columns, trolls and Dyrhólaey.